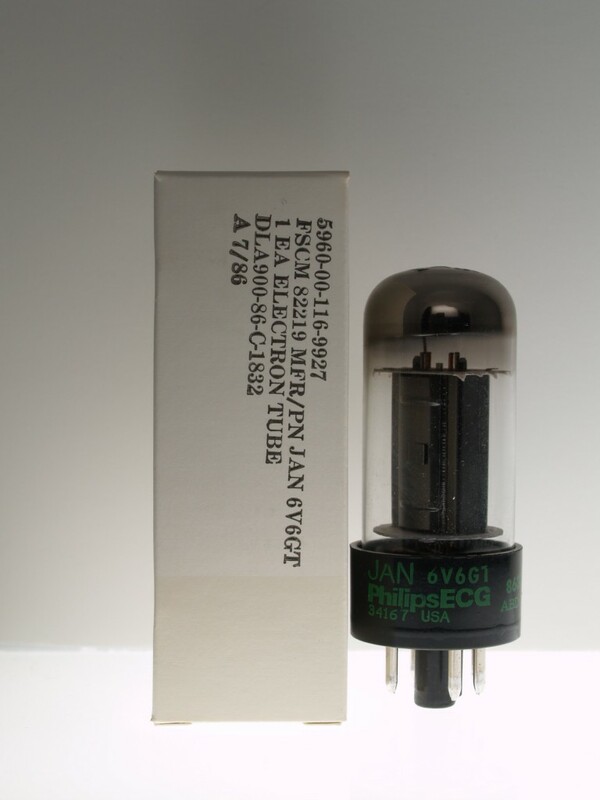 These "new old stock" JAN Philips 6V6GT's are a high grade USA military tube that is built to be pushed. This tube delivers classic, vintage 6V6 tone. We burn in all our power tubes on Condor Electronics Maxi-Burn 30-tube rigs for over 24+ hours before testing and matching. One sealed case available. These tubes sound wonderful. I guess my 10 year old stock tubes were wearing down. Thanks. Doug, wanted to let you know that the tube combination that you recommended, in connection with the Fromel Supreme Mod, has produced the best sounding amp I have ever personally listened or played through. Every musician that hears it says the same thing. Incredible tube selection from your end was the biggest part. Thank you! I recommend that you set that up as a kit on your page.